Do your kids get excited about checking the mail? Ours do! We do too for that matter, there is something about getting actual physical mail whether it be a letter or a package that will never get old. It probably has something to do with the excitement of finding out what's inside the envelope or box. If you don't regularly receive exciting mail, our Book of the Week will remedy that. The Jolly Postman or Other People's Letters follows a postman who delivers mail on his bicycle to various fairy tale characters! 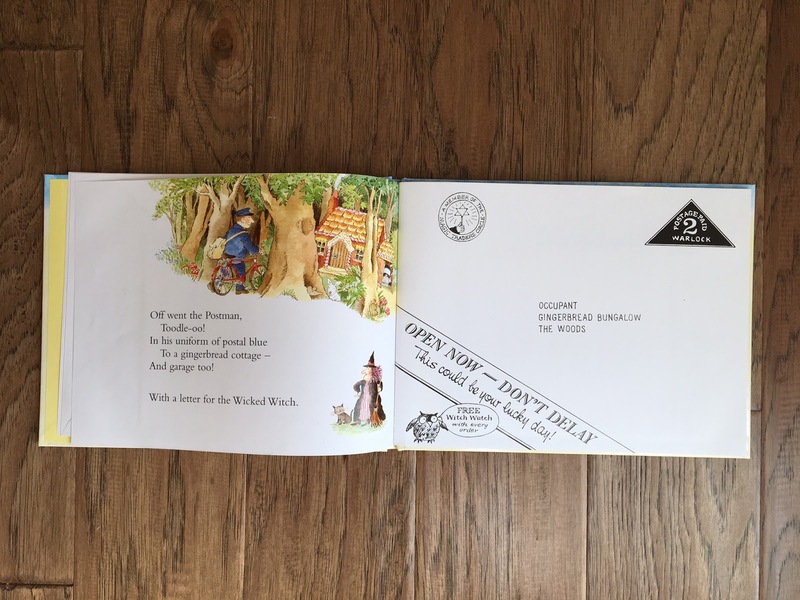 Each page layout features the postman delivering another piece of mail on his route. The "mail" comes in envelopes (more like pockets) complete with themed postage and return address marks, perfect for those of us who love attention to detail. 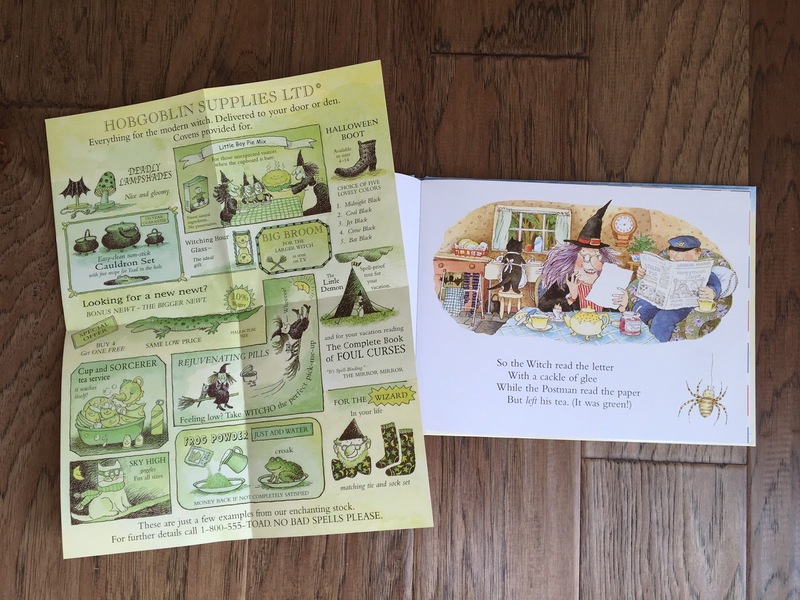 The book is written in clever rhymes while the illustrations are delightfully detailed and tell a story on their own. Notice the black cat doing the dishes, while the witch's stockings hang with a bat on a clothes drying rack as the witch has tea (with horrid jam on her toast) and reads her mail. Kids are immediately drawn in by the interactive nature of this book. They love getting each piece of mail out of the envelope and reading through it. A current favorite piece of mail at our house is the flyer that the witch receives with all the proper witchy details you could want. 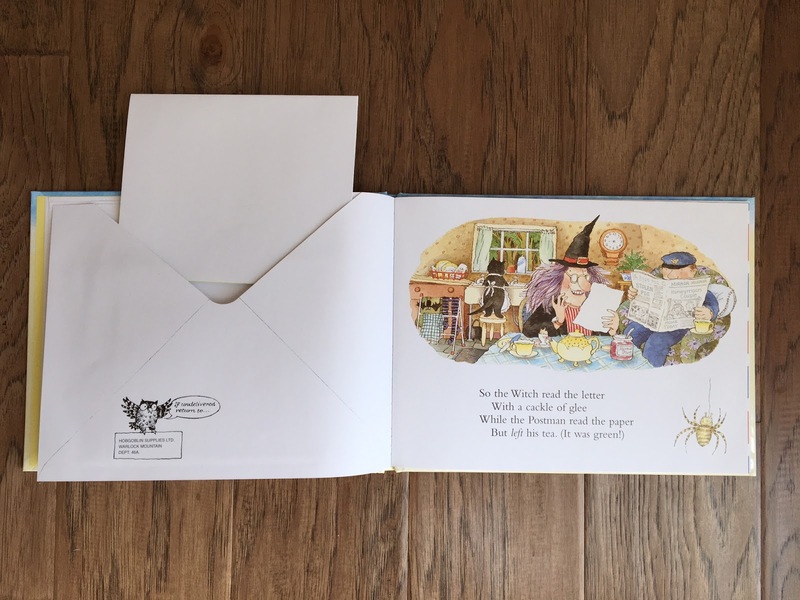 The items in each envelope range from postcards, to letters and even a sample book to Cinderella from her publisher. 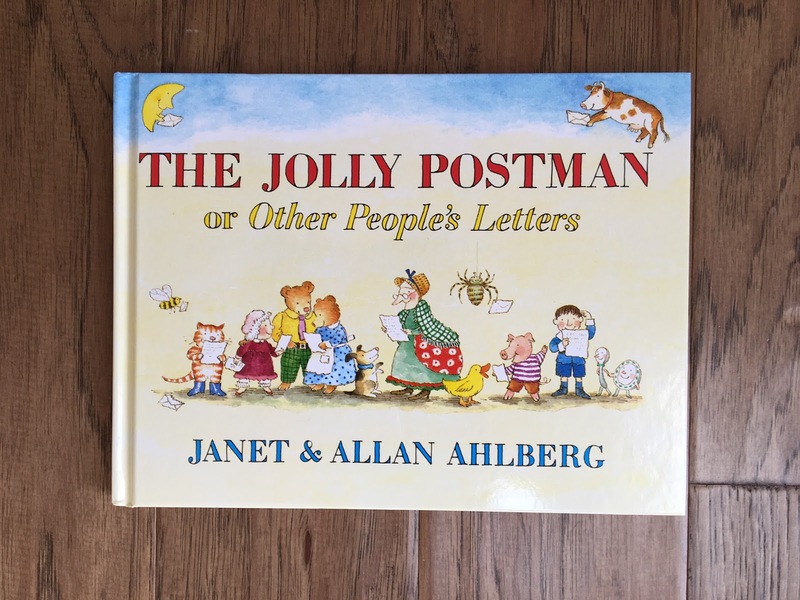 The interactive element of this book plus the British humor imbued by this British author/illustrator duo make it an oft requested read, one that is as entertaining to the reader as it is to the audience. If your little readers are interested in making their own mail after they read this, check out these ideas for 40 Homemade Cards for Kids to Make.